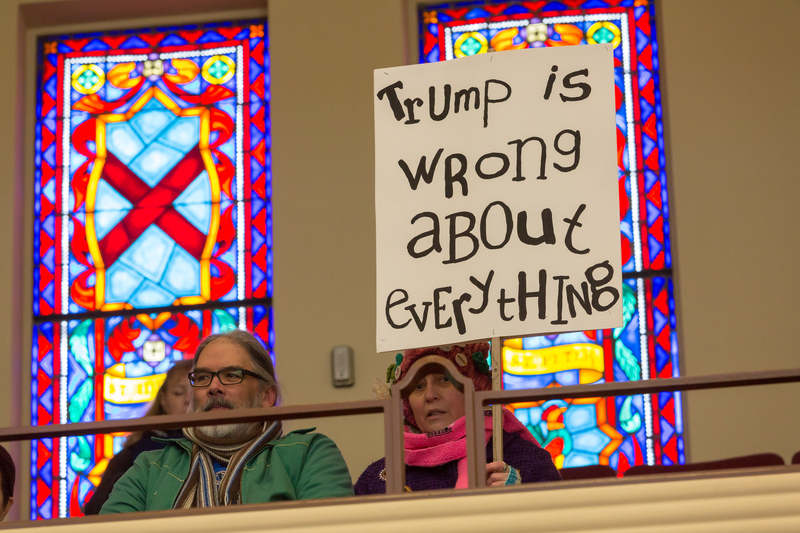 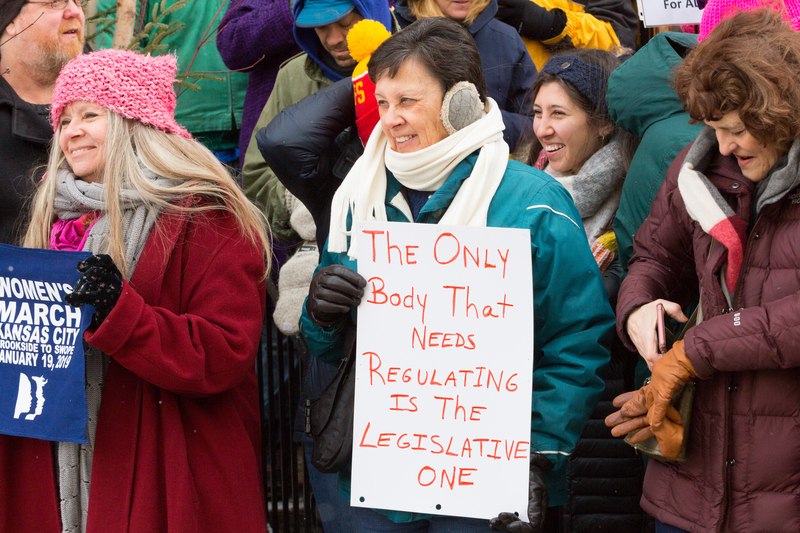 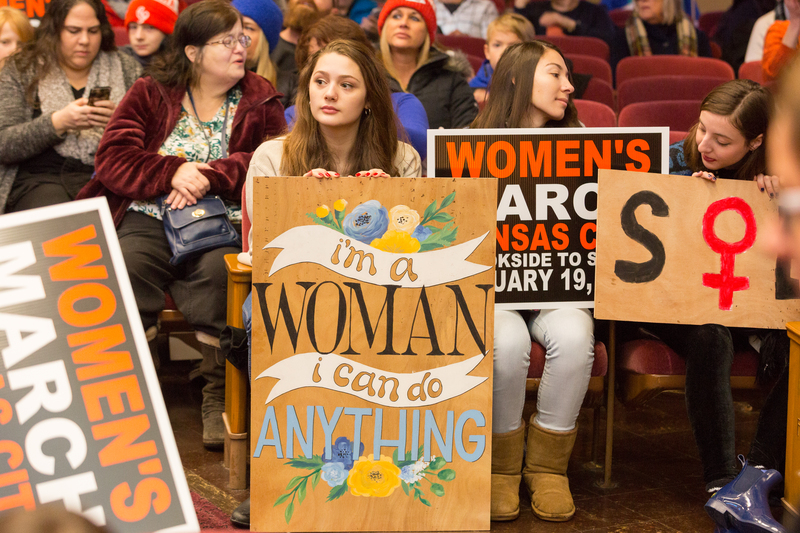 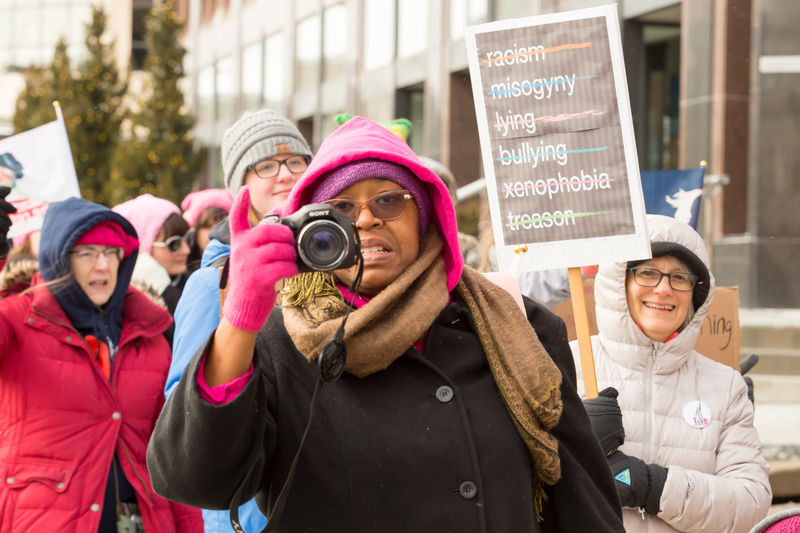 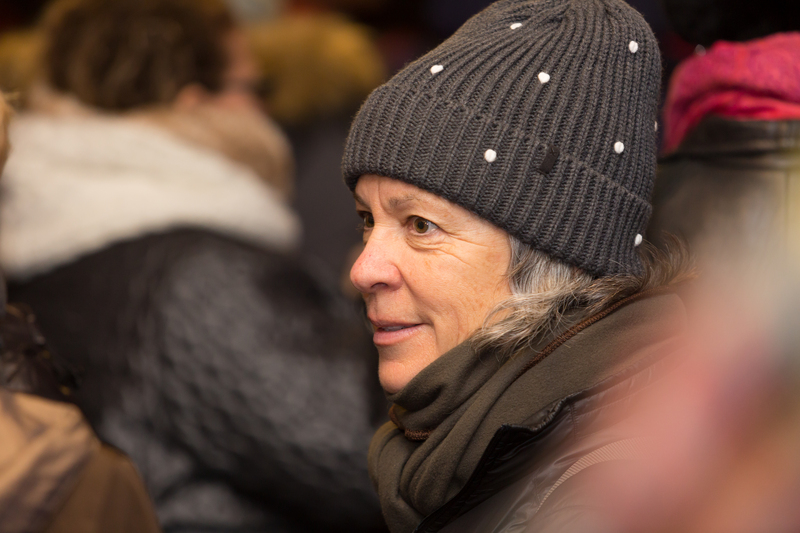 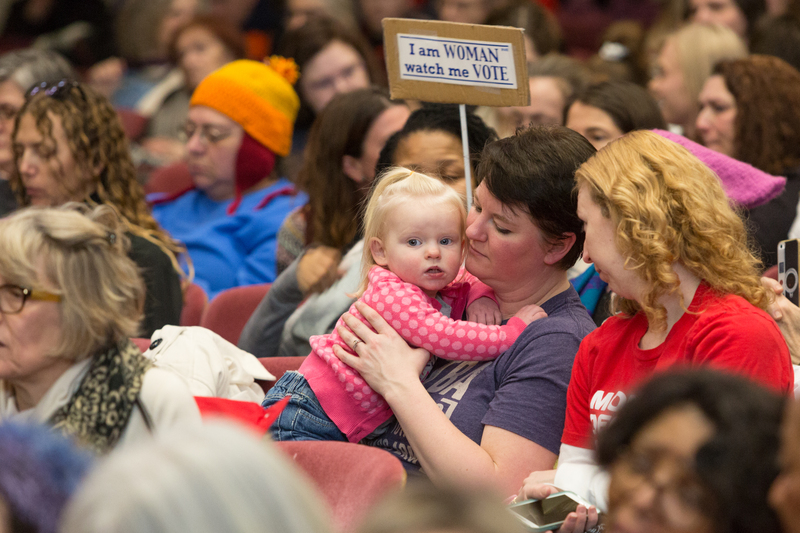 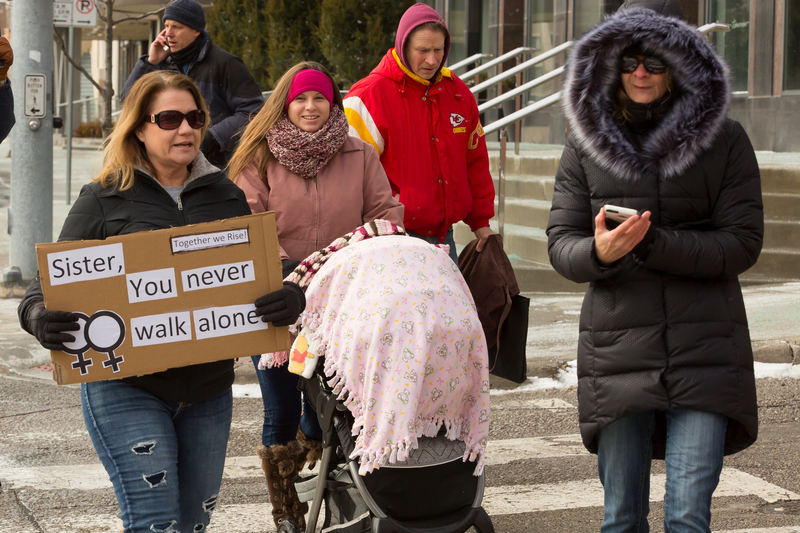 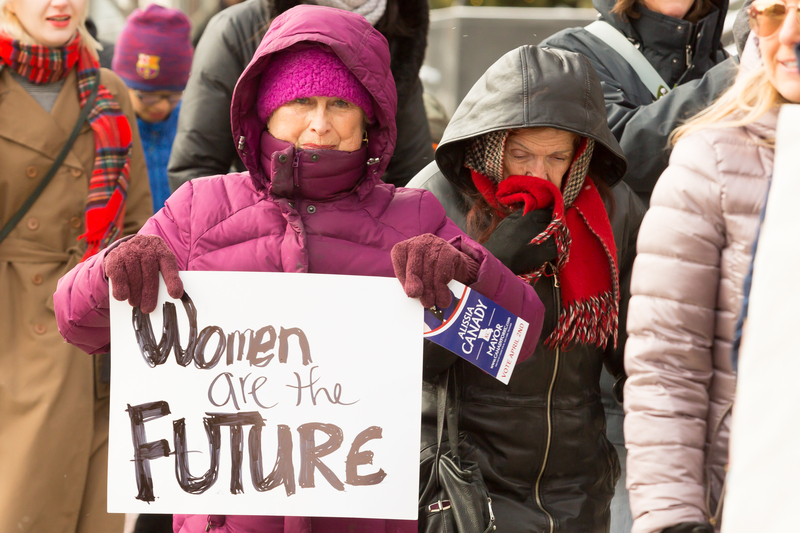 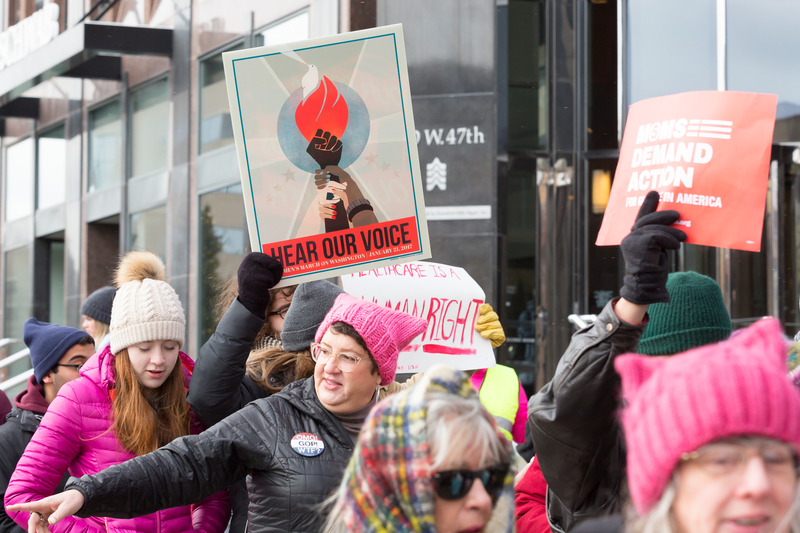 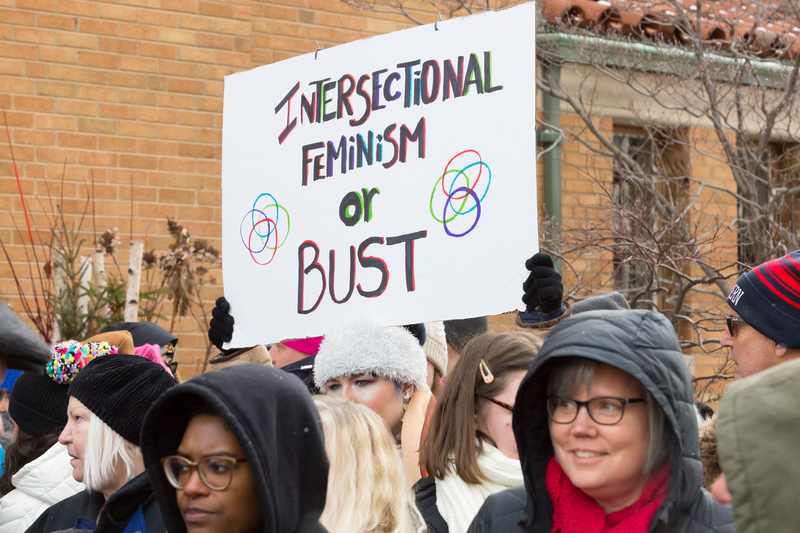 Saturday’s Kansas City Women’s March was centered at Unity Temple on the Plaza – the organizers modifying the march and their earlier rally plans due to the extreme cold weather. 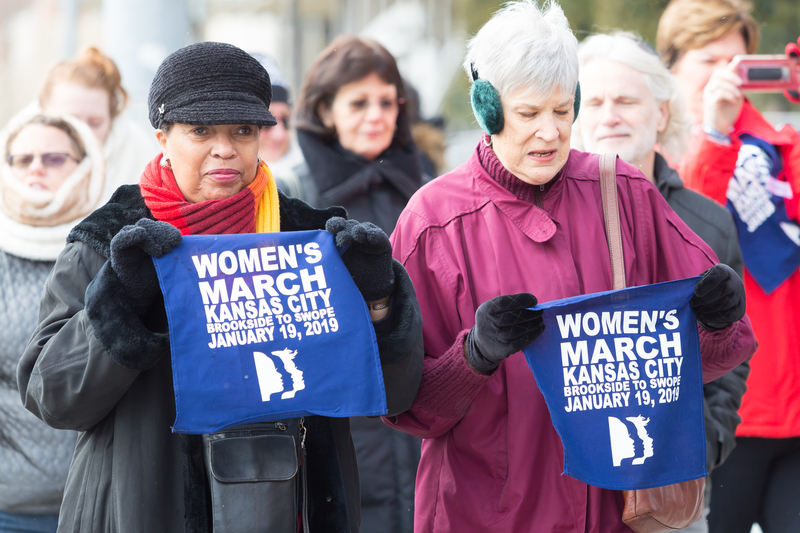 Participants gathered in the Unity Temple lobby before the 2:00 p.m. start of the march. 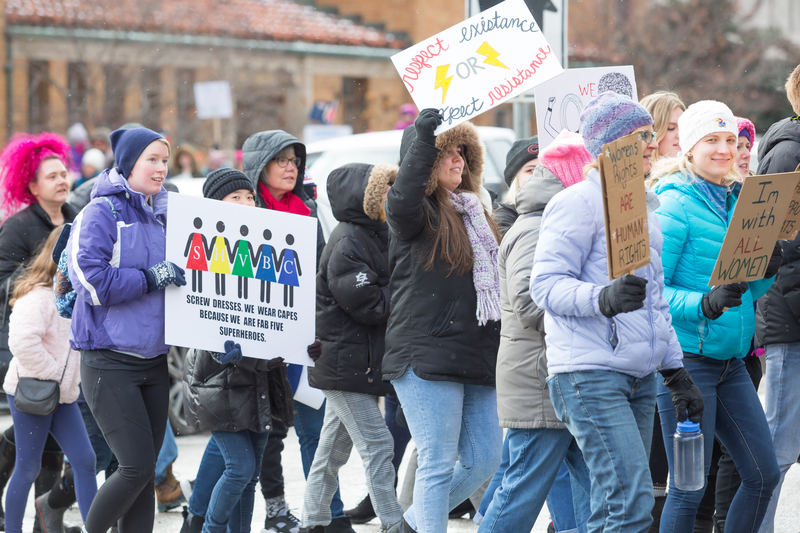 Well over five hundred individuals participated in the march.